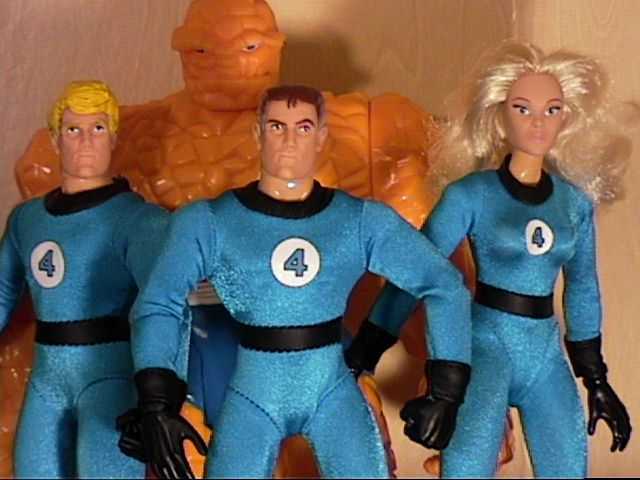 Fantastic Four After buying Reed and Sue, I was so disappointed that I didn't have the Thing and the Human Torch that I decided to do something about it. I thought the Toy Biz 10 inch Thing would fit it pretty well with the Famous Covers, since he should be bigger than Reed and Sue. 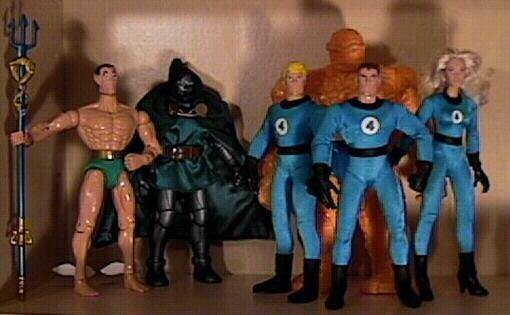 So that only left the Human Torch. I didn't have an easy way to make a Torch figure, but I thought that a Johnny Storm wouldn't be too tough. So I bought another Reed, gave him a new doo with sculpty, and repainted the head. I painted the hair and eye-brows yellow, and repainted the eyes blue, and looking forward. Now up close its fairly obvious that its the same head as Reed, but I still like having all four members of the group on display! I had a hard time finding a cover that featured Johnny flamed-off. I like this one, because it has a similar look of the 4 characters as my picture above. 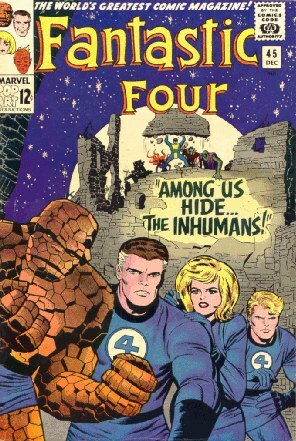 Besides the Inhumans are as cool as hell.